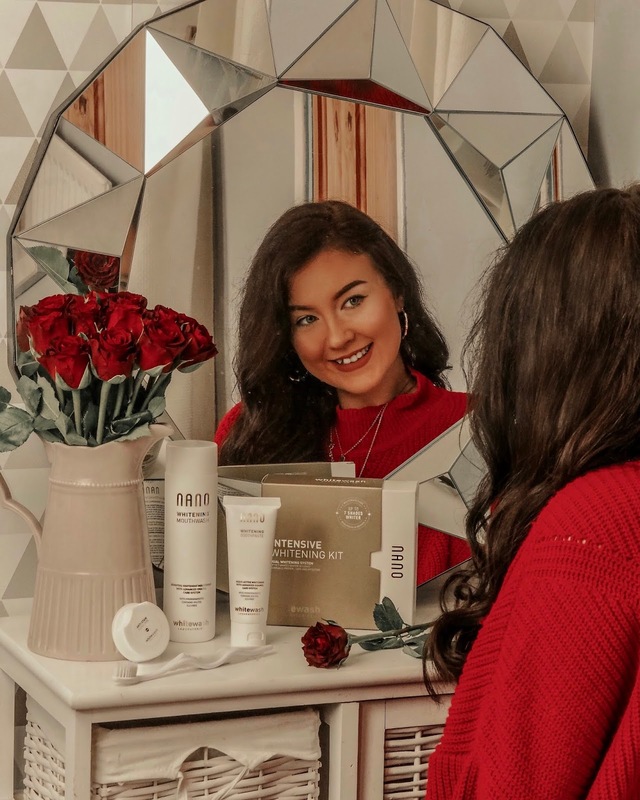 Rewind to the beginning of last year and I was very self conscious of my teeth and having tried practically every 'teeth whitening' product on the market, I had pretty much given up hope of finding some products that would work best for me. 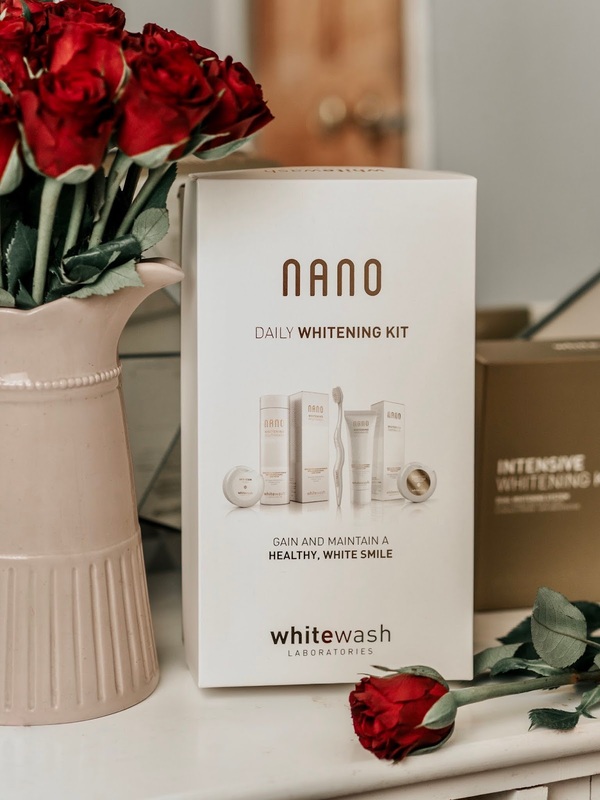 Thankfully, it did end well and I ended up coming across the Nano Intensive Whitening Kit from WhiteWash Laboratories which you can read a full in depth review of here. Nearly 6 months on, and my teeth have never looked better! 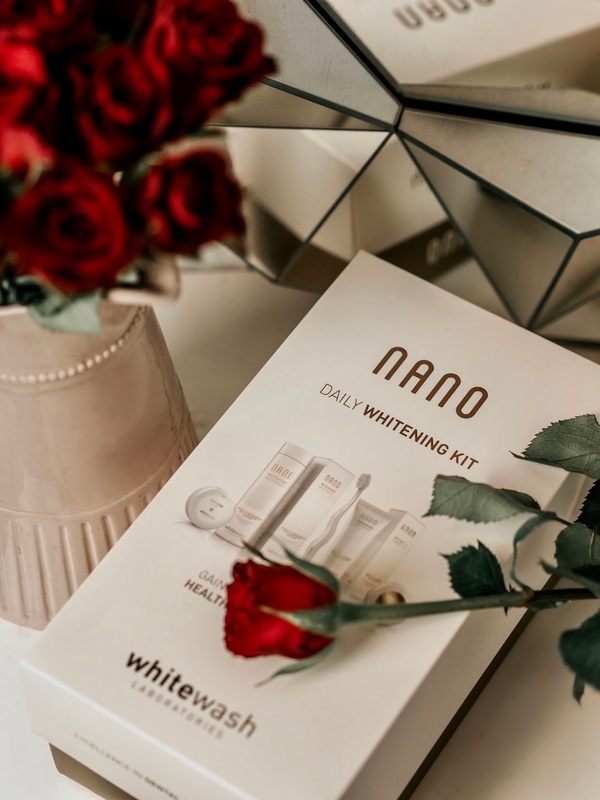 As well as using the Whitening Kit, I've actually been using some other products from the Nano range to not only look after and care for my teeth, but maintain that whiter and brighter smile! 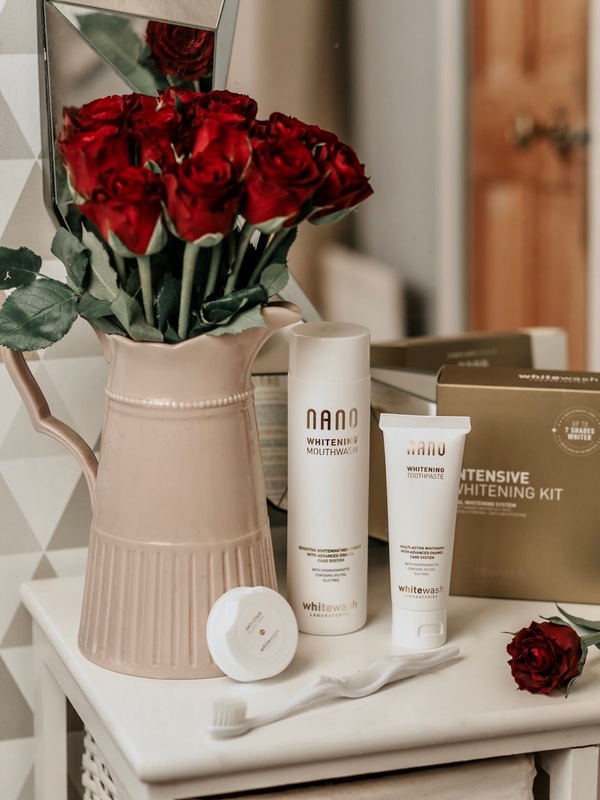 The two products I've been using are the Nano Intensive Whitening Kit and the Nano Daily Whitening Kit which is a new introduction to my routine! Now I'm not going to go into too much detail regarding this as I did an in depth review last year from my first initial use of it. But let's just say this little kit has been an absolute life saver! 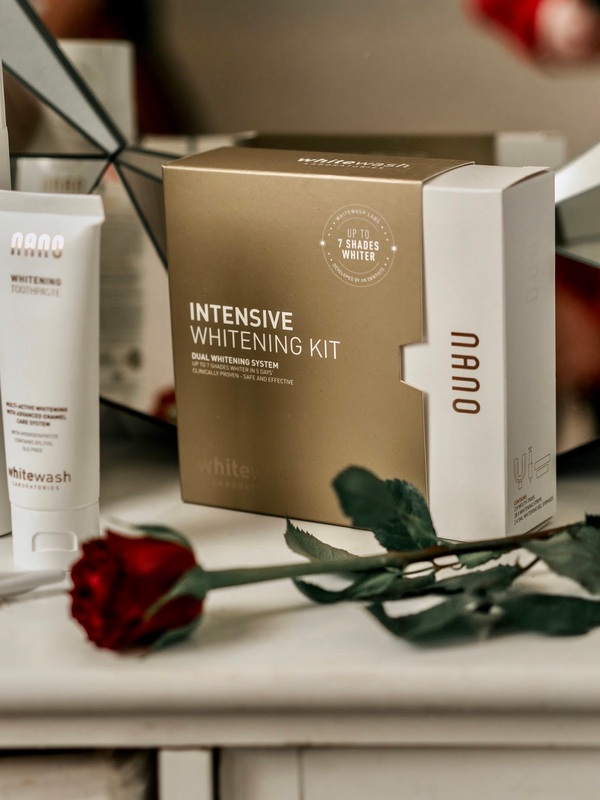 Inside this kit you'll receive a one week supply of whitening trays, and a twice week supply of teeth whitening strips. Both the strips and trays couldn't be easier to use! With the strips being applied for an hour, and the trays 35 minutes, they really don't take any time at all out of your day. I normally just pop them in whilst I'm getting on with some work, or whilst I'm watching some Netflix in bed. On average, you can notice your teeth whiten by 3.6 shades after just one application! After finishing my whitening course, I was majorly impressed with the results, and couldn't have been happier with how white my teeth were. Upon my first use, I was nervous that my teeth would be left looking very fake looking, and unnaturally white, but it's actually the complete opposite. They look so naturally white and clean, which is just what I wanted! Soooo, now you have your perfect white and bright smile, but how do you maintain that? It goes without saying that the first step into looking after your teeth should be looking at what type of toothbrush you are using. I've switched to using the Premium Manual Toothbrush from Nano. It's dual-layered, ant-bacterial bristles are effective in preventing plaque build up, and the removal of stains. The different bristle lengths are great for cleaning not only between your teeth, but your gums too. Next up, is flossing! Now to reach those more tricky places in your mouth, I've been using their Anti-Stain Floss to remove any plaque or debris between my teeth. I usually do this before brushing so that my toothpaste can clean up my teeth after I've removed any plaque. It couldn't be easier to use, and isn't uncomfortable or painful (which I have found with some flosses!). After flossing, it's time for mouthwash and toothpaste! 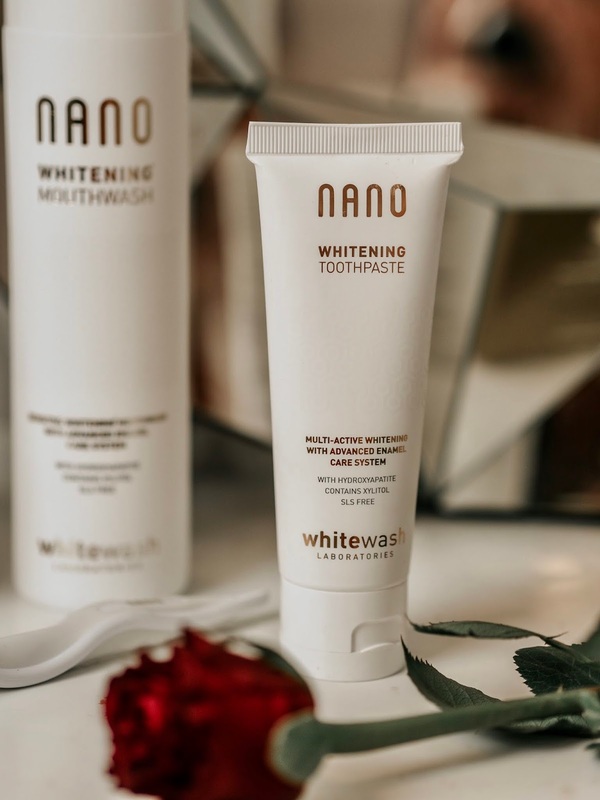 I'd highly recommend using the Nano Whitening Mouthwash which contains a multi-active whitening complex with advanced enamel care technology to ensure your teeth look and feel the best! After gargling the mouthwash for 60 seconds, it's now time to follow with the Whitening Toothpaste. A major concern amongst people when using whitening products, is teeth sensitivity. Well you don't have to worry about that with this mouthwash and toothpaste, as they actually reduces sensitivity unlike a lot of whitening products!. My teeth and mouth feel squeaky clean as a result of using the above combination of products, and they also leave my breathe extra fresh for the long day ahead! 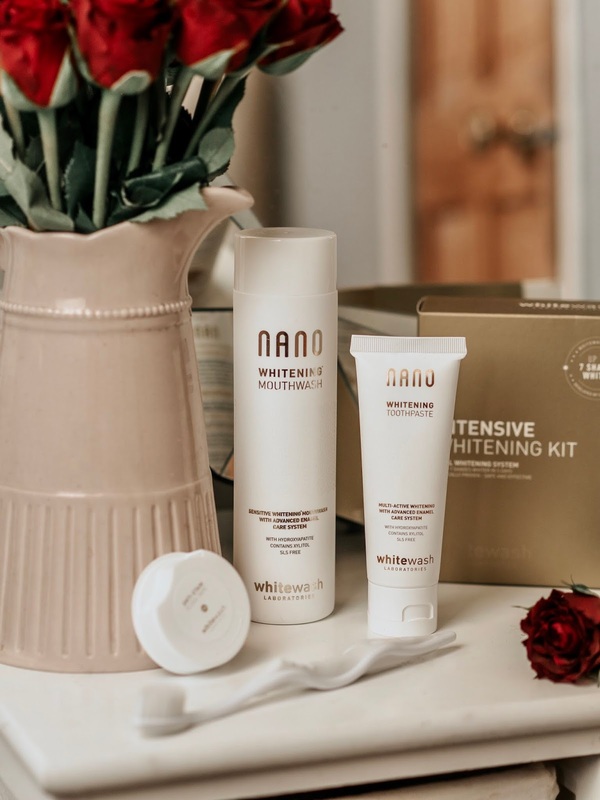 The entire Nano Range is currently available at www.whitewashnano.co.uk, Boots, Amazon and other online retailers. AD - This post is a paid partnership with WhiteWashLabs. All words and opinions are my own. Please refer to my Disclaimer page for more details. This kit is SO nice! I loved it. Ohhh they sound so good. I’ve heard a lot about this brand. I have heard great things about this brand! Nice & informative Article. It gives me important information. Thanks for sharing it with us.